In the Star Wars fan world, there’s a lot of controversy about the color of the coat Han Solo wears on the planet Hoth in Star Wars: The Empire Strikes Back (1980). Many fans think the coat is blue, but it’s actually brown. You can see it in the bonus extras of Star Wars: The Digital Collection. It's kind of same conversation that took the twitter by storm some days back with a girl's dress color. If Anthony Daniels fell over in his C-3PO costume, he couldn’t get up on his own. The costume wasn’t very flexible at all. In fact, the actor couldn’t sit down whilst wearing it. Whenever you see C-3PO sitting in The Empire Strikes Back, either you don’t see below the waist or Anthony would sit down on set without the costume and they would build it up around him. Which everyday kitchen item was used to create the sound of C-3PO moving in the early movies? According to Ben Burtt, it was a couple of ice-cube trays being bashed around. Harrison Ellenshaw – Matte Painting Supervisor for Star Wars and The Empire Strikes Back – is no stranger to Disney. Harrison is the son of Peter Ellenshaw, who was a matte painter for Disney for many, many years. Peter worked on iconic movies including Mary Poppins, Bedknobs And Broomsticks and Swiss Family Robinson – and he was named a Disney Legend in 1993. Harrison can be seen talking about the use of matte paintings in the Star Wars saga in the bonus extras for the new digital release, Star Wars: The Digital Collection. Carrie Fisher was petrified about her iconic swing stunt with Mark Hamill in Star Wars. Stunt actors were not used for the scene, which was tackled by the two actors. Hamill wore a girdle to carry their weight for the swing, but Fisher didn’t. Mark Hamill and Carrie Fisher’s iconic swing to safety was shot in one take on the set of the movie. Fisher wanted to do it again, but Lucas decided against it. Boxes were placed underneath the actors to break their fall if anything went wrong! At one point, C-3PO actor Anthony Daniels wasn’t interested in meeting George Lucas to discuss working on Star Wars. The actor wasn’t interested in playing a robot in a sci-fi movie until he read the script! 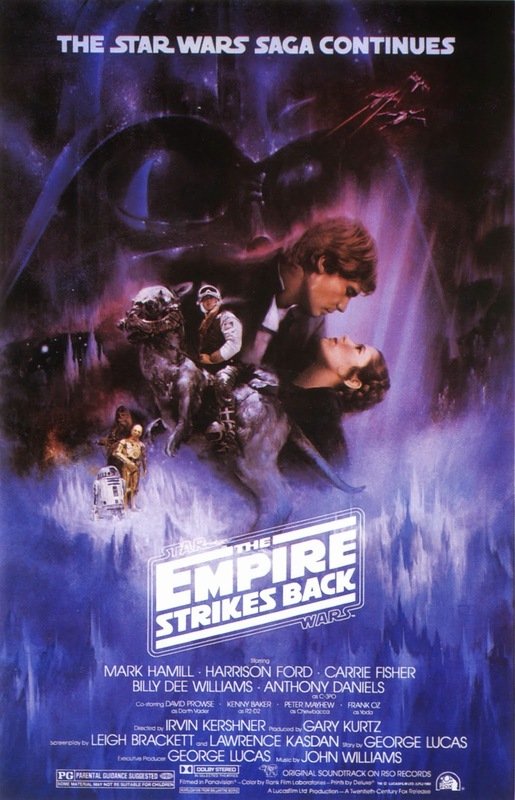 Harrison Ellenshaw was the supervising matte painter on A New Hope and The Empire Strikes Back. How many people were in his extremely technical department? Just one. Take a closer look at some of the iconic scenes from Star Wars movies. You might think that huge sets were built and hundreds of extras were used – but sometimes, the sets and even the stormtroopers were merely part of a meticulously prepared matte painting. This movie is the second part in the original trilogy and was directed by Irvin Kershner.